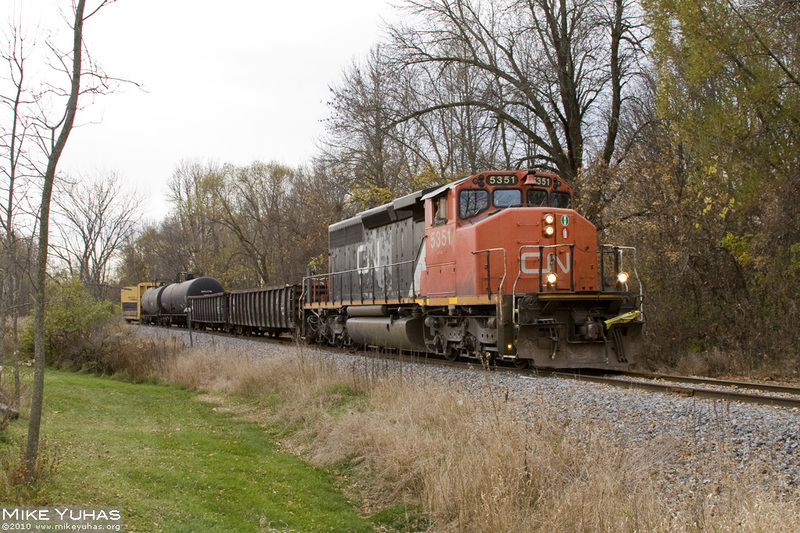 CN's L507 job heads north to Saukville to switch the Charter Manufacturing plant. Two loads of scrap are destined for the mill. Train is now called at DBR Jct at noon Monday through Friday, with trips to Saukville scheduled for Monday, Wednesday, and Friday.